CME is helping make your business more competitive by working to lower your tax burden, simplify regulations and reduce the non-tax cost of doing business in Canada. Low business costs are the key to competing successfully at home and abroad. They help attract production mandates, increase exports, and leave more money available for companies to invest in their own future success. 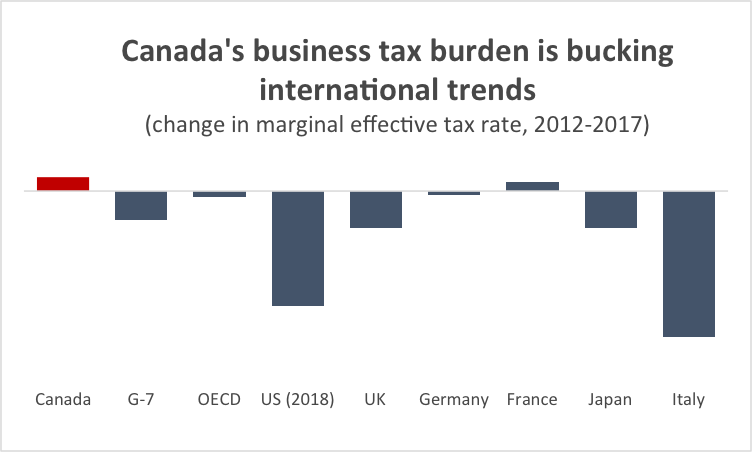 Meanwhile, tax reform south of the border has eliminated Canada’s previous tax advantage over the US and is threatening our competitiveness even further. That tax advantage was critical because it helped to compensate for the fact that we are a smaller, less attractive market; and that the non-tax cost of doing business here is higher. 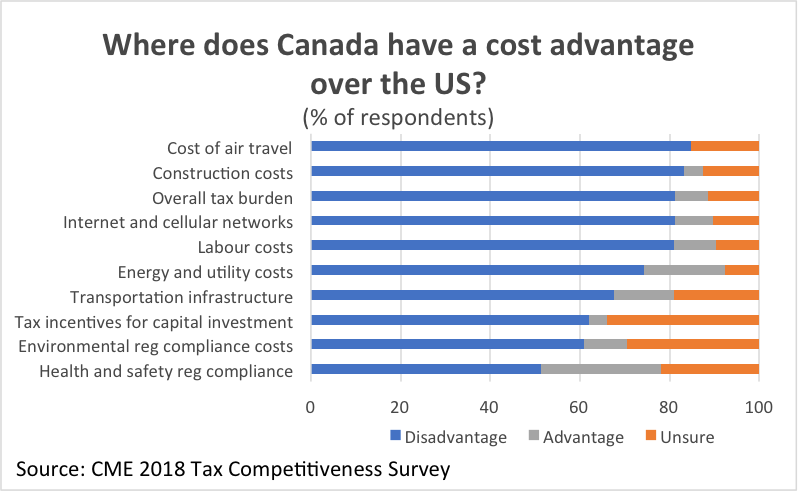 Canada used to rely on a competitive tax system to compensate for its high overall business cost structure. That advantage is gone. Canada needs fundamental tax reform to reduce the overall burden and complexity of the tax system, while also reshaping it to reward investment, innovation and growth. Lagging their global competitors in productivity growth and innovation. Most importantly, the tax system penalizes companies from growing beyond a certain size. CME believes that Canada needs fundamental tax reform to restore our competitiveness and create the conditions needed for businesses to succeed. to improve tax incentives to invest in machinery and equipment. Implement tax reform that rewards your company for growing.